Electric skateboards are not a new thing and we have been covering a number of them, however, most of them follow the same design more or less. The motor being mounted on the underside of the deck is responsible for driving one or two of the wheels with the help of a belt. 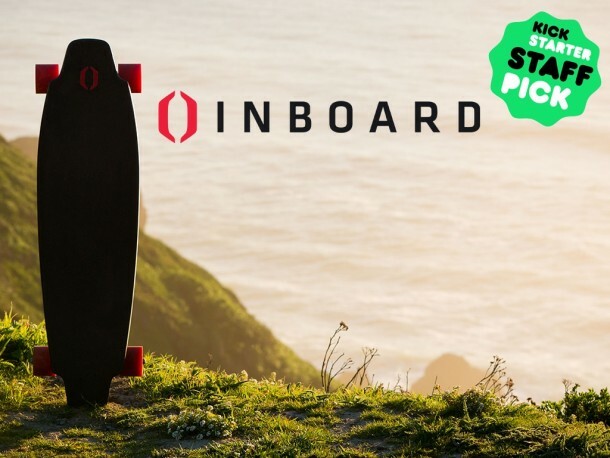 Inboard Sports, based in California, opted for a different approach though. 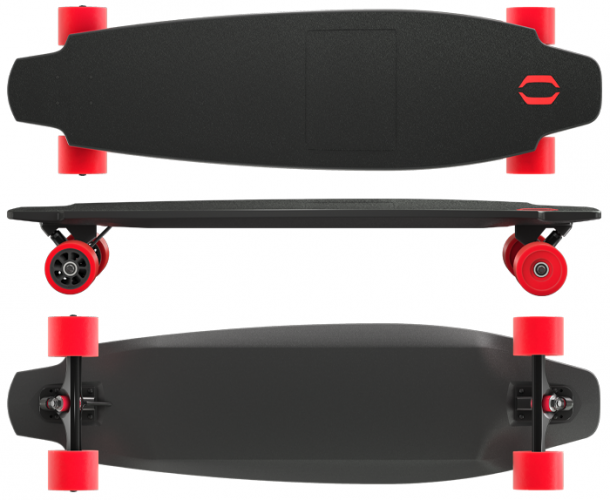 The Monolith by company shall be the world’s first skateboard that will sport hub motors in the two rear wheels. 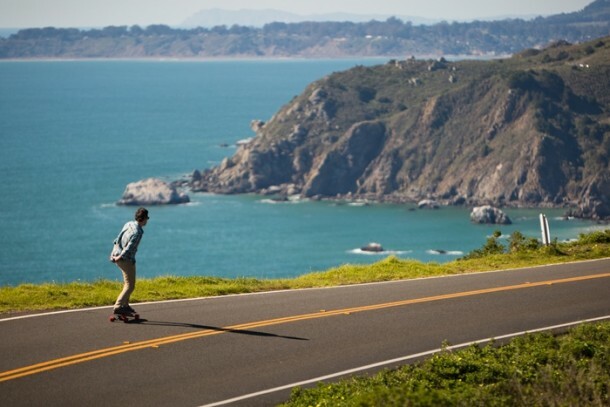 Inboard Sports claims that using direct-drive hub motors has certain advantages over the traditional setup of motor in electric skateboards. For starters, there is no more a motor hanging dangerously beneath the board. We used the term dangerously because the motor on the underside can bump into obstacles and is prone to damages. Apart from that, the hub motors are water-resistant and weigh lighter than the single traditional motor along with its assembly. Also, since the wheels are not attached to a belt, they are capable of moving more freely thus imparting more freedom to user. User can control the throttle via Bluetooth handheld remote while also using the companion app for setting up the acceleration and top speed. There are 3 modes available; Beginner, Advanced and Eco modes. The board exhibits a top speed of 39 km/h when in Advanced mode. The app is also capable of locking the wheels when Monolith is not in use and can let the user know about charge level of the lithium iron phosphate battery pack. The battery is accessible via a hatch located in the composite-bodied deck where it can be swapped with another fully-charged battery if need be. A 90-minute USB charge warrants about 16 km of distance. Monolith weighs 5.4 kg. A Kickstarter campaign is underway for raising funds to move the project to production phase. You can get a unit for a pledge of $1,099 while the planned retail price is $1,399.